8/22:Avril Lavigne 與五分錢合唱團主唱 Chad Kroeger 訂婚了! 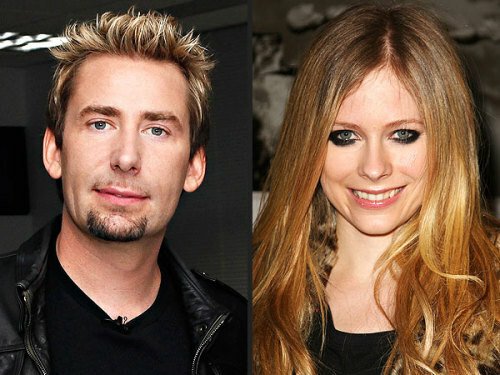 Avril Lavigne and Nickelback frontman Chad Kroeger's relationship has been so quiet that few even knew they were dating. 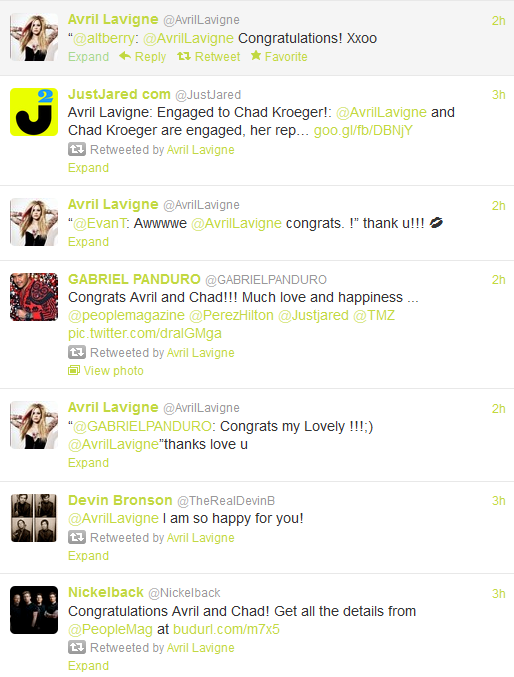 Now, after a six-month courtship, the Canadian rockers are engaged to be married, Lavigne's rep tells PEOPLE exclusively. 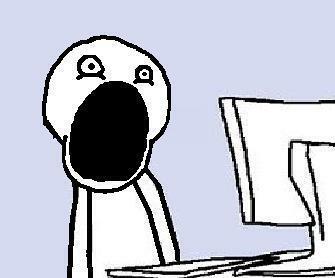 Lavigne, 27, and Kroeger, 37, first got together in February to co-write a song for Lavigne's upcoming fifth studio album. "A romantic relationship blossomed as they spent time writing together," a Lavigne pal tells PEOPLE. On Aug. 8, Kroeger popped the question, presenting Lavigne with a 14-carat diamond sparkler. "He makes her so happy," a family source tells PEOPLE. "Both of their families could not be more excited." It will be Kroeger's first trip down the aisle, and the second marriage for Lavigne, who split from Sum 41 frontman Deryck Whibley in 2009. She had also dated Brody Jenner. 其實我原本是在找 Taylor Swift VMA 的消息... 沒想到看到國外網站這篇新聞實在太 shock 了!!! 此分類下一篇： 8/24:Avril Lavigne 與未婚夫 Chad Kroeger【Hello! 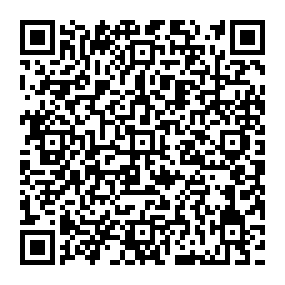 Canada】愛的故事大公開!